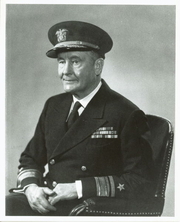 Samuel Eliot Morison (1887-1976) "Navy file photo of Rear Adm. Samuel Eliot Morison, USNR, the eminent naval and maritime historian and Pulitzer prize winning author." Samuel Eliot Morison is currently considered a "single author." If one or more works are by a distinct, homonymous authors, go ahead and split the author. Samuel Eliot Morison is composed of 27 names. You can examine and separate out names.